As Teresa Snider points out, the lawyers that litigate insurance and reinsurance disputes form “a relatively small community” within the legal profession. Inside of that, a much smaller group of lawyers finds its way onto the Lawdragon 500 Leading Lawyers guide, as Snider did in 2018. For the Chicago-based partner of Butler Rubin Saltarelli & Boyd, a key to thriving in the practice is the ability to dive into historical events like a detective and effectively craft a story on a behalf of a client. A 1992 graduate of the University of Michigan Law School, Snider credits firm founding partner Jim Rubin with the mentoring that helped her excel as litigator. Lawdragon: Can you describe for our readers the mix of work that do you for clients? 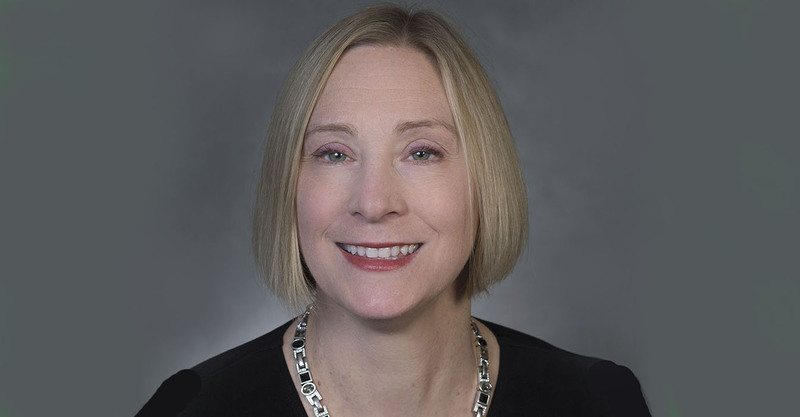 Teresa Snider: I am responsible for the strategy and day-to-day management of confidential reinsurance arbitrations and for counseling clients on their insurance and reinsurance contracts and relationships. The matters encompass issues such as late notice, audit rights, the allocation of claims, and the existence or extent of the coverage provided under particular contracts. The types of policies and reinsurance agreements that are in dispute or the subject of my advice vary greatly, and include everything from general liability policies to variable annuity contracts to bank-owned life insurance. LD: What are some aspects of this practice that are unique or that you especially like? What keeps you excited about it? TS: There are many aspects of my insurance and reinsurance practice that make it professionally and intellectually satisfying. The eclectic nature of the disputes is one of the foremost characteristics because it gives me the opportunity to learn about many different areas of the law and the economy. The cases I work on are not limited to insurance and reinsurance concepts but also involve many other substantive areas. I have handled matters involving construction defect claims, second mortgages, aviation business, pollution, professional malpractice, and estimating future workers compensation claims, among others. The lifecycle of insurance and reinsurance business and companies is also full of complexities that are intriguing to unravel. You need to not only understand how insurance companies issue policies and handle claims, but also how the states’ regulation of insurance affects those functions, what financial reporting is required, and how insurers make decisions on what reinsurance to purchase and when to stop purchasing reinsurance. What happens when an insurance company decides to no longer issue new policies or if it becomes insolvent? What mechanisms exist for insurance companies to divest themselves of liabilities? What alternatives are there to traditional insurance and reinsurance and what pitfalls and opportunities result from those alternatives? LD: What else does it take to succeed in this area that makes it rewarding? TS: The other thing that the practice requires is a sense of history. To succeed, you need to be a historian, a detective, and a storyteller. Many arbitration clauses in reinsurance contracts require the arbitration panel to make its decision based on the custom and practice in the industry. This means that you need to understand not only how reinsurance business is conducted today, but also how it was conducted in the 1970s, what new practices and regulations were instituted, and when and why those changes took place, as well as how market practices differ between the United States and England. A somewhat unique aspect of reinsurance arbitration is that most arbitration clauses relieve arbitration panels from following the strict rules of law and the rules of evidence. As a result, knowing the law is not enough. You need to understand the policy reasons behind the legal doctrines and the rationale for the particular rules of evidence in order to persuasively argue that the panel apply a legal concept or give a piece of evidence weight. You also need to understand the facts in order to figure out what arguments you can make. This may require piecing together information from the reinsured, the broker, and the reinsurer. Finally, there is a relatively small community of lawyers and arbitrators that practice extensively in the area of reinsurance disputes. As a result, you have the opportunity to develop meaningful relationships within this community. LD: Can you identify an important issue facing your practice area now? TS: An important issue in reinsurance disputes today is whether the nature of the duty of utmost good faith is evolving and what that means for reinsurers’ obligations to their cedents and cedents’ obligations to their reinsurers. There seems to be more tolerance for self-interested conduct and the question is whether that tolerance will also manifest itself in the arbitrators’ decisions. LD: How and when did you develop an interest in insurance law? Was that during law school or after? TS: Although both of my parents worked in the insurance industry for many years, I did not even once consider during law school that I would focus on insurance-related issues in my legal practice. Instead, I thought I would be a trusts and estates lawyer. The reason I changed paths is sheer fortuity. The very first cases to which I was assigned when I was a junior associate involved arbitration issues and reinsurance. I liked what I was doing and asked for more work in that area, and the firm obliged. LD: What advice do you have now for current law school students? TS: My advice for current law school students is threefold. First, do not make grades your sole focus. It is not only how well you do in law school that is important for professional advancement but also the connections that you make during law school. It’s never too early to network! Get to know your professor now so that you feel comfortable asking for a recommendation letter later. Your law school classmates may be potential clients in the future. Second, make a point of learning about the business of law not just the practice of law. The more you know about how law firms or in-house legal departments operate and the economics involved, the better choices you can make in your career. Third, you can enhance your success in law school and in your future career by knowing the “rules.” Get in the habit of paying attention to when assignments are due and the other instructions your professors provide. You may think the font that you use or the number of pages you write is unimportant, but it may be the difference between a B+ or an A or between having a brief accepted or rejected by the court. LD: Was there a mentor who really helped shape the course of your career? TS: Absolutely. Jim Rubin, one of the founding partners of Butler Rubin, has been a mentor to me for years. He taught me how to try a case, including the importance of an in-depth understanding of the facts and of the business context of the reinsurance agreement. He emphasized that a lawyer’s role is not just to understand the legal aspects of a case, but also to figure out what your client wants to achieve and how best to achieve it. While the issue might be worthy of Supreme Court review, that’s not the strategy you suggest if your client wants a quick cost-effective resolution. I learned from him that speaking softly is more effective than shouting, that courtesy serves both you and your clients far better than discourtesy, and that giving credit to others for their contributions reflects positively on everyone. LD: Is there a legal matter or client in your career that stands out as particularly memorable and can you describe it? TS: Yes, there is. It is a matter I worked on for eight years and which involved numerous arbitrations as well as litigation in four different states and in England. Agents for various insurance and reinsurance companies used their principals’ capacity to create a reinsurance spiral, where the same risk was reinsured again and again and passed from one company to another and back again, with commission and brokerage fees being taken out from the premium at each turn of the spiral. Because of this disproportionate premium stripping and the commission and other fees subtracted at each turn, the business became dramatically less profitable for each subsequent reinsurer. We needed to investigate who knew what about the creation of the spiral, figure out how the spiral worked and what the ultimate exposure was, recommend and coordinate strategy across numerous jurisdictions, all the while keeping in mind our client’s ultimate objectives. Our client’s dedication to supporting our efforts was incredible and we worked with an impressive group of solicitors and barristers in London. The team’s efforts on behalf of our client were successful. Our client commissioned a drawing to commemorate the case and I keep a copy of it on my office wall. LD: How has your practice area changed since the start of your career? TS: One significant change has been a measurable increase in the number of instances where parties have sought to confirm or vacate arbitration awards in court. When I first started out in the practice, there were very few challenges to arbitration awards filed in court, and most of the cases that were filed were kept under seal. Over the past 25 years, it has become more common for companies to seek to confirm awards, and courts have become more reluctant to seal cases. As a result, there is more information available about the types of disputes that are being arbitrated, who the arbitrators were, and what the results are. TS: I read! All types of books – mysteries, thrillers, science fiction, fantasy, and young adult books. And now that there are e-books, I don’t mind travel delays nearly as much.